I think God Happened to M.E. is great and the person who founded it is AWESOME! I am honored and truly blessed to know and watch M.E. grow into her powerful gift God has given her. I am exceptionally proud of M.E. 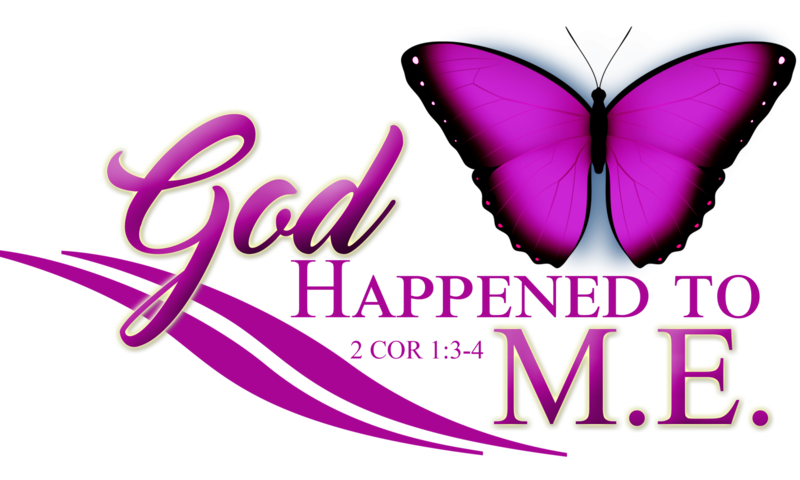 and have already visualized, might I add EXCITED for a Coming Soon God Happened to M.E. products in stores. Michelle’s posts are relatable, timely, and so very encouraging! I typically get encouragement from social media posts, and this page is one of my favorites. I’m always excited to read what new and inspiring message she has for us. Do yourself a favor and like her page! You won’t be disappointed. Michelle has managed to become more than a Conqueror by exposing her pain and living and walking in her truth, which is the Ordaining of GOD for her life’s path. I truly believe this is her Ministry and I could be biased because she’s my Beloved Cousin. However, I am not & I Adore how she has embraced this walk with Dignity Courage, Compassion and great Articulation for her story. Michelle speaks through her words and leaves readers in awe by her transparency, yet God-filled words. She is an inspiration to all and truly allows God to use her. Captivating, fearless and creative all describe her as she continues to take the world by force leaving all of us with nuggets to live by on her pages. As she empties her soul to us she gives us small remnants of her carefully orchestrated life. Her writings are timeless and will continue to invoke thought in those who allow her in. I’m on my third read of your book; You know I know you now.